DUFL is a new app that is taking the “lug” out of “luggage.” The app is changing how the jet-set, and business heavy travelers, are traveling. A premium luxury travel service that acts a personal valet for frequent fliers, does the packing and luggage transportation for its clients. Ready to head home? Schedule a pick-up, affix the appropriate shipping label and leave your bag at the hotel desk for DUFL to handle. No arriving at the airport hours before a flight. No paying for bags. No fighting for overhead compartment space. And, no spending precious minutes waiting at baggage claim. DUFL is a premium, luxury service- a personal travel valet that simplifies business travel by shipping, cleaning and storing your business attire. DUFL stores your clothing in your personal DUFL closet, and allows you to virtually ‘pack’ by selecting your clothing items from within the app. Once you’ve scheduled your trip, you’ll travel – bag free, and your freshly cleaned and neatly packed clothing will meet you at your specified destination. When you’re ready to head home, schedule a pick up from the hotel and DUFL will clean your clothes and have them waiting in your virtual closet, ready for your next trip. 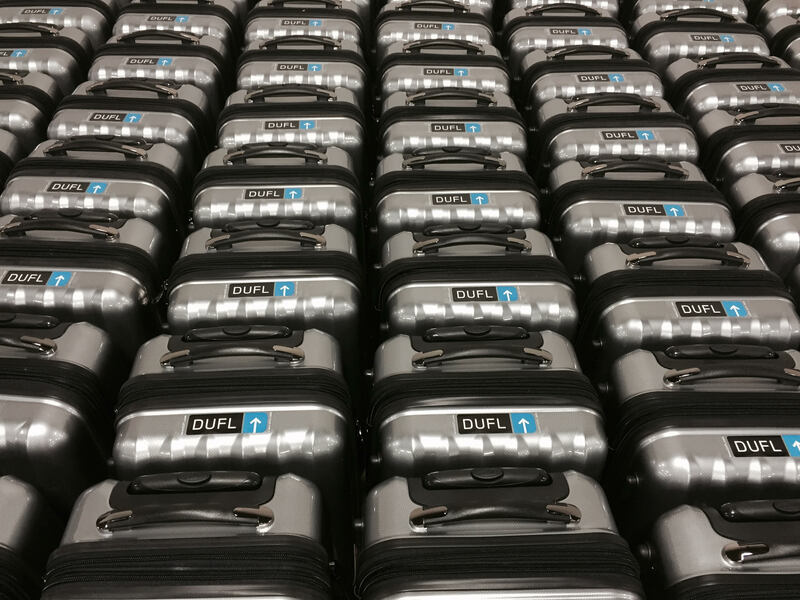 If you travel frequently, you should definitely use DUFL. There are many hassles, rules and expense associated with airline travel today. DUFL lets you outsource the process of cleaning, packing and transporting clothes to and from your destination so you can focus on business – and breeze through airports without lugging heavy bags. 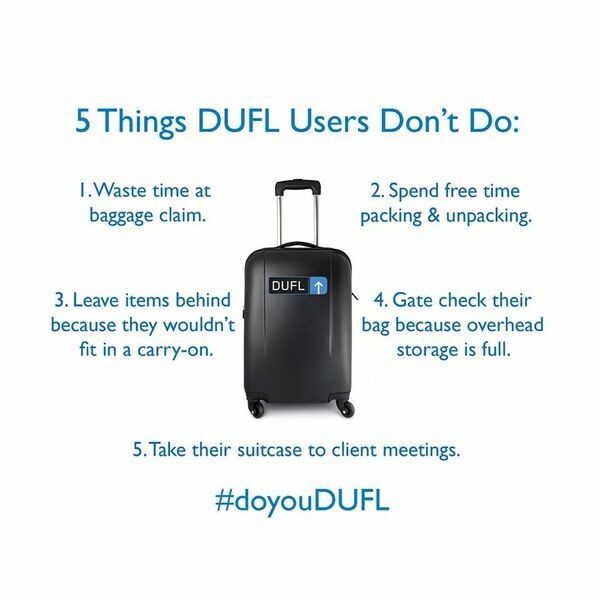 DUFL makes business travel easy. To get started, download the DUFL app and create a new user account. DUFL sends a welcome kit right to your door, which includes a DUFL bag, shipping labels and instructions. Pack your bag – just this once, with as many items as you want – and schedule a pickup. When you are ready to travel, simply log in to the app, schedule a trip and choose the items you want to pack from your virtual closet. DUFL will ship your bag to your specified destination. When you’re ready to come home, schedule a pickup and leave your bag at the hotel desk. They’ll clean, process and re-inventory your items and have them waiting in your virtual closet for your next trip. DUFL makes traveling easy, saving you time by packing your bags, keeping your business clothes professionally cleaned for every trip and managing your bag so you don’t have to. You’ll stroll through the airport security line faster, avoid the hassles of checking and retrieving bags, fighting for overhead bin space and dragging your bag to customer meetings. 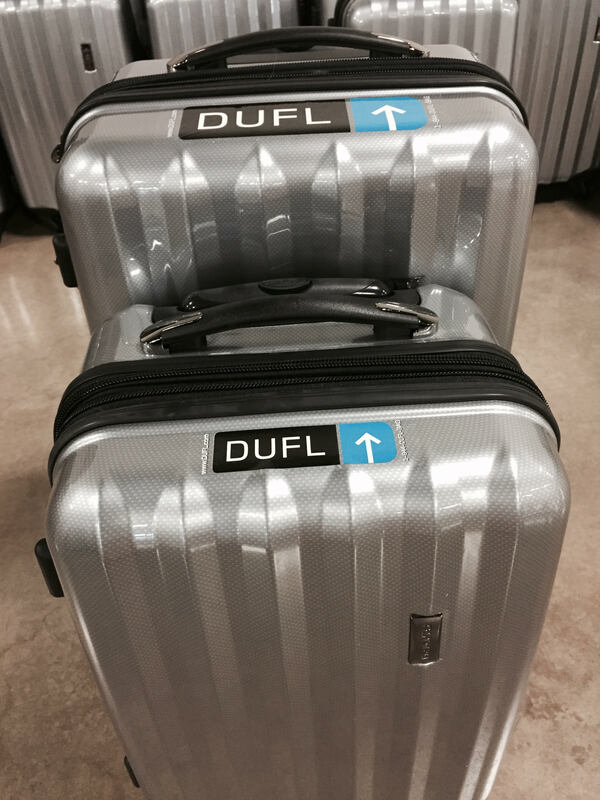 And unlike airline baggage transport, DUFL lets you follow the progress of your bag on your DUFL app. With DUFL, you can send as many items as you like to your virtual closet and then select only the items you’d like to bring for each trip within the app. There are several different ways to change the items in your closet. You can add or remove items from your bag any time it’s with you, ship individual items directly to your closet or request a welcome kit, and they’ll send you a new suitcase to fill. Want to swap out the contents of an entire bag? Just schedule a new trip to your home and replace your current items with anything you like. DUFL’s storage facility features 24/7 security and modern tracking and inventory systems so you’ll know where your things are at all times. DUFL is available on iPhone and is $9.95 per month for storage and $99 per round trip. Sonja Hegman is the Technology Editor-at-Large for Luxe Beat Magazine. She is a pseudo-expert on just about every topic after working in news in some capacity for the last 15 years. She is an avid Alzheimer’s and mental health advocate, and co-leader of the #imnotashamed movement on Twitter. She’s currently working on her memoir about losing her mother to early-onset Alzheimer’s disease.